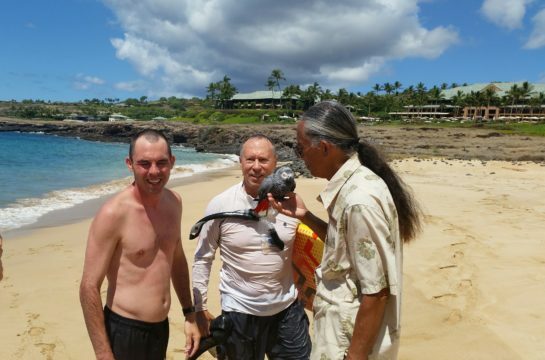 A rescue bird residing at the Four Seasons Resort Lanai needed a second rescuing last Friday. An African Grey Parrot took flight from its perch near the Four Seasons pool and landed 200-yards out in the Pacific Ocean. 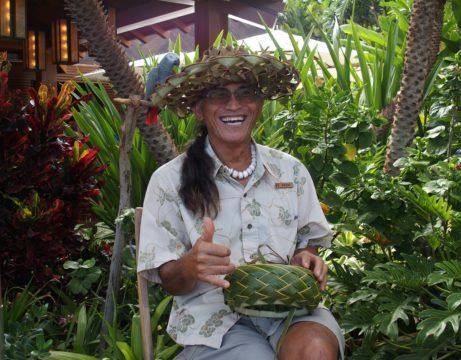 Bruno Amby, the Four Seasons Resort Lanai aviarist, raced to the edge of a rocky area and kept an eye on the bird’s location. Amby radioed Josh Bunting, a beach attendant working at the resort’s Hulopoe Beach, and described the general area in which the parrot was floating. 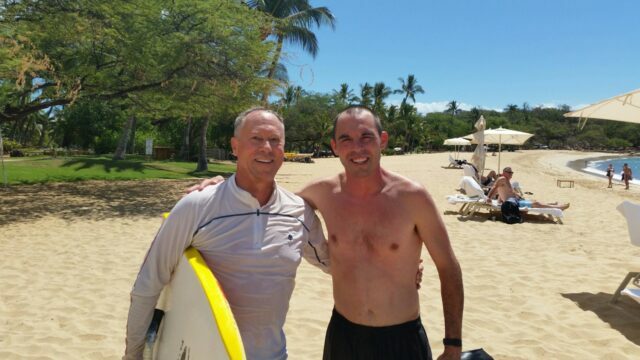 Bunting dove into the ocean with a body board accompanied by Santa Barbara, CA native Paul Carter who grabbed his snorkel and fins. It took 20 minutes for Bunting and Carter to reach the parrot and hoist the bird on to Bunting’s board. Bunting and Carter stabilized each side of the board, and the rescuers swam back to the beach where Amby was waiting. Visibly shaken but safe, the parrot named Pikake was handed to a relieved Amby. 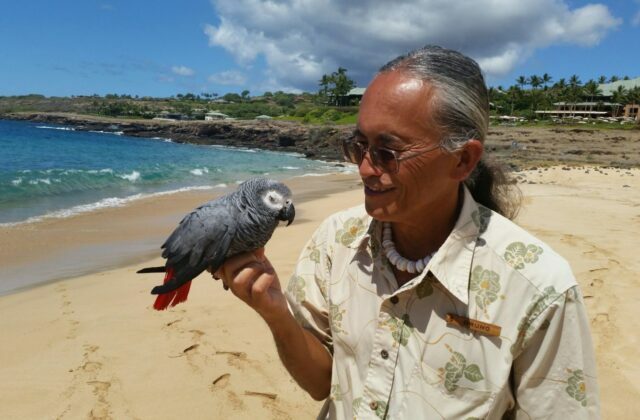 The parrot is one of eight birds that the Four Seasons Resort Lanai has rescued in conjunction with the Peninsula Humane Society in San Mateo, CA.